Significant bridges and viaducts; museums of working models, cogs and pistons exposed like metal bones in a butcher’s window; farming implements, rusted, resting from centuries’ use. Feature railways, a scent of coal smoke, low-pitched whistles of a locomotive, sweet-sour orange dripping from iced lollies. Air-shows with echoing tannoys, piercing rumbles in my feet, ears and chest, odours of jet fuel and fried onions from burger stands, pink candy-floss sticky on my cheeks and fingers. With a family of engineers, such days out were commonplace, and I never thought to question them. Though I may have understood very little of what I saw, the memories are all in sunshine and include sugar treats, so in a child’s mind they are happy ones. The enthusiasm of parents and grandparents was itself transferrable as joy. I’m left even now with a fondness for steam trains and synchronised aircraft displays. Last summer we sat on the family lawn, waiting for the Red Arrows to pass across some distant field en route to a show – not with their signature smoke trails, but no doubt in the perfect diamond formation I’ve seen countless times, above northern airfields or southern oceans, since I can remember. True, those nine pilots are trained killers – or defenders one might say – so let us not gild them, but the discipline and oneness of their flight would leave anyone gaping skywards in admiration. Ambassadors of the Royal Air Force, they are as quintessentially British as lawn bowls and high tea. Soon it was clear they would not fly our way. Visiting relations went home a little disappointed – as I was, in truth – but there’s always another chance. The Red Arrows had already existed my whole life, so I had no reason to doubt their immortality. I left next morning for Scotland on a weekend with the Sri Chinmoy Centre. As the train passed my favourite stretch of coast near Berwick, a fellow traveller leaned suddenly into the aisle, gaping skywards. And there they were, mid-way through a show. Our vehicle was woven into their display, like an unexpected dancer on-stage. Plumes of red, white and blue enveloped the train. A battle cry of jet engines split the air, as one tracked us to the left, another to the right, then switching above us while others improvised in the distance. Never had I seen them so close. Twenty seconds and they were gone, leaving our carriage whipped up in excitement, and with a sudden friendship amongst its passengers. 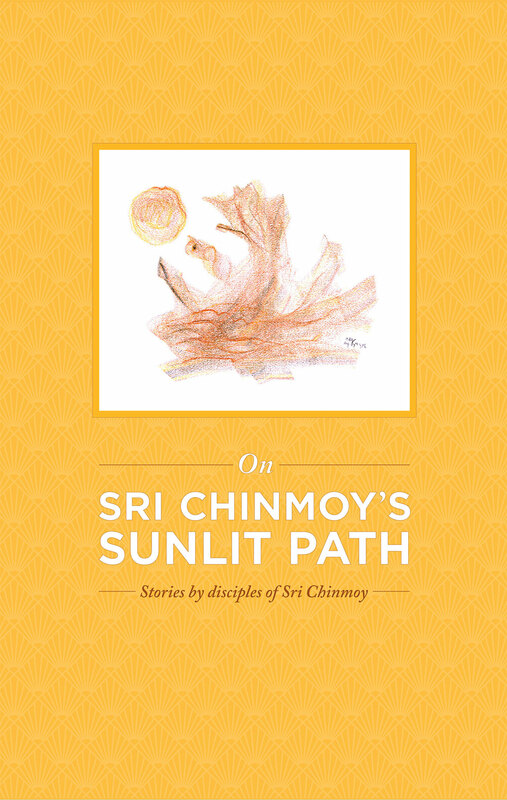 Sri Chinmoy’s spiritual path is not one of outer renunciation – the very title ‘Sri’ differs from ‘Swami’ in this sense. 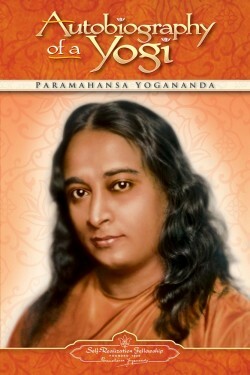 His teachings focus more on inner renunciation. Rather than letting go all earthly facets of life, instead ours is to let go our attachment to them. Often I find myself not simply encouraged, but almost compensated for this effort, as even the smallest of my desires are fulfilled – sometimes when they are all but forgotten. On countless days, going about my usual routines, I’ve seen a certain magic happen for myself and those around me – a synchronicity, a sure blessing, timed and measured almost too perfectly to believe. Perhaps it comes as a package with engineering DNA, but I’ve always been a morning person. For me a penance is not waking at dawn, but rather staying up past bedtime. A 5:13 alarm heralds my morning practice, seven days a week. I shower, read Sri Chinmoy’s books, meditate, repeat a few daily songs and prayers, stretch my sleep-bound muscles into a few yoga postures. Often I walk before breakfast when it’s light enough, learning new songs as I go. Sri Chinmoy prescribes running – at least two miles if one is able – but walking is a good deal better than nothing. I march along a country lane between the fields of arable, as the sun awakes and ignites the sky behind me. I see trained killers in the air sometimes – sparrowhawks hovering and darting down on field mice with elegant precision; buzzards curving far above, mewing strange calls to one another. Once a falcon crossed my path – a peregrine it must have been – appraising me with a deep, dark, fearless eye. It skimmed the air as though powered by only a sharpness of mind, rather than any bodily effort. The speckles of its belly and underwing ruffled softly as it passed. At first my own mind would not believe the reports of my eyes this spring. A great cacophony of squawking announced them from beyond the furthest houses: common geese, I first assumed, bound from the river to a local pond, but their wings were broader and beat in great arcs around them. The vigorous bodies above my head reflected only white as the sun caught them: swans on their migration, a ragged line of seventy birds at least. 850 miles across the sea they’d return home to Iceland and the raising of new families. Gaping skyward, I almost lost balance and found I’d wandered into the middle of the road. Three days later the scene repeated itself with a similar caravan of migrants. Now spring is halfway over and hot-air balloons of sight-seers take to the sky. The winds are calm, letting them hang peacefully above the city. Blackbird, crow and sparrow, fieldfare and finch, all are making plans in trees and hedgerows, and I wonder what my own year still holds. 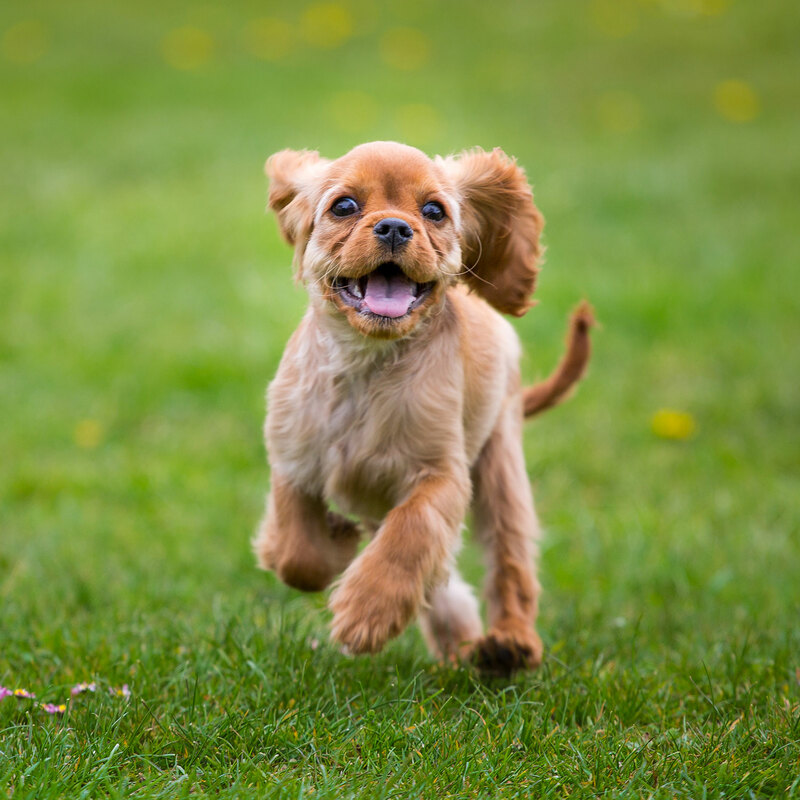 Let me march towards it, open, undaunted, and welcome the surprise. As mentioned recently, after reading Auspicious Good Fortune, people sometimes kindly ask about my health, although that was not a major thread in the book. Unlike in Hollywood, real-life stories often leave issues unresolved, which can be a bit disappointing. Around the time I embarked on the spiritual life, I was visited by Chronic Fatigue Syndrome (CFS) – a guest I couldn’t oust. It stayed in various forms for a couple of decades, soon overlapping with – and ultimately being replaced by – chronic migraines. Apparently the two often come as a special package. I’m sure there was no coincidence in the timing of the onset, and by that I don’t mean the spiritual life was bad for my health – quite the contrary. Up until that time I indulged in some rather unhealthy habits, in order to escape from my own interior world. Letting go those addictive traits meant facing the underlying causes of them. That’s a good thing when you’re seeking the ultimate Truth, but some discoveries along the way are not so heartening. The journey can thus seem to become more arduous, rather than getting easier. When challenges arise, although the ideal reaction may be cheerful acceptance, instead it’s tempting to ask why they’ve arisen. One reason for physical challenges could be that when following a spiritual life, one’s highest priority is spiritual progress. The soul might choose this time to work out the karmic results of one’s past actions, either from this life or previous lives. While Sri Chinmoy teaches the art of self-transcendence, he also teaches us to care for our physical health and certainly does not recommend we seek out suffering. But when it does come along, poor health can be a vehicle for progress, affording deeper insights into ourselves and empathy with the suffering of others. Sri Chinmoy: He has not made it difficult for the sincere seekers. For the sincere seekers the road is very short. Only for the doubtful seekers, the road is very long. This moment you feel that God is very kind to you, but the next moment you get some blow or pain and you lose faith. Some unconscious part of you says, “O God, why are You so cruel to me? This morning I meditated well, so how is it that my body is suffering?” This will be your question to God. At that time if you can say, “Although I am suffering such pain, perhaps something infinitely more serious was going to happen to me and God saved me. God is so kind to me.” Like this, if you can change your attitude towards God, immediately the road becomes easier. You have some kind of pain, but if you feel that it could have been infinitely worse, then immediately you will see that you are making inner progress. The road is long only for those who do not feel gratitude to God. I was born with a conundrum. Child to a line of stoics in the old British tradition, I seem to have been blessed nonetheless with heightened senses and a rather low threshold for pain. Gratitude has not been a consistent theme throughout my years of unstable health – certainly not at the most challenging times. For stretches of weeks or months, migraines would recur every two days or so. Combined with CFS, they made work, travel or socialising all but impossible. When CFS gradually receded to leave only migraines, I was genuinely grateful. As these followed me for fifteen years with varying frequency and severity, I admit to wallowing in self-pity or simply succumbing to frustration on numerous occasions, but I knew from experience things could be much worse. Without wanting to disturb the stiff upper-lips of my ancestors, allow me a brief description for those who’ve never met a migraine. Firstly, it’s not a headache. While pain in the head is a significant aspect, ‘ache’ does not generally do the sensation justice. It also comes with a wide range of special effects and fancy features that have nothing to do with pain at all – more the digestion, cognitive function, emotions, vision and other senses. My own experience varied, but the effect on the nerves was usually something like that of a dog barking in the face, while someone tried simultaneously – for reasons unknown – to drill a hole in the side of the head. Words and thoughts would jumble themselves. The vision might be as though two-dimensional or as though looking through cracked glass. There might be a flu-like feeling of incapacitation. Sometimes there was the added sensation in the stomach of riding a cross-channel ferry. An episode lasted anywhere from six hours to three days. Whenever the clouds dispersed and each ‘adventure’ came to an end, the relief left me feeling superhuman. Pretty much anything seemed possible, and almost anything would be tolerable to me. Such joy and empowerment I’d rarely otherwise have experienced in everyday life, and I felt as true a gratitude as I know. It was almost worth going through the discomfort to come out the other side of it. Almost. I did all in my power and imagination to overcome both conditions – often joking that I’d try anything legal – but as they went on so long, I had to accept the idea that they might persist forever, if such was God’s Will. I might otherwise have gone a bit mad. Since pretty much anything might spark an episode – from supermarket shopping to an hour’s lost sleep, a jog in the park to an uncomfortable conversation – I saw no sense adding more challenges to life voluntarily. But where challenges or opportunities arose in the course of my spiritual life, family life or work, I did all I could to accept them, assuming life might otherwise pass me by entirely. I’ve never been good at acting, or even lying, but I made it my mission to transcend these symptoms whenever finding myself in company. Sometimes there was simply no negotiating, but over time I increasingly learned to separate myself from them. While my peers may have been taking on far greater challenges outwardly – opening a café perhaps, or running an ultramarathon – mine was just to appear as sensible and calm as possible while something was barking in my face, someone was probing the side of my head, and so on. The first time I met a migraine was on a transatlantic flight. I had no idea what was happening, and nor did anyone else. The cabin crew kindly gave me their rest area, a proper duvet from First Class and two cans of oxygen. Someone was assigned to take me off the plane and through immigration in a wheelchair. I laugh now at the memory, though I certainly didn’t at the time. Migraines of some degree would travel with me on most flights thereafter, affording me plenty of chances to practise behaving like a normal person instead of making a fuss. You may say it was my good genes or the blessings of my forebears that helped me in my pursuit. Maybe it was just a streak of stubbornness. I’d often be so spent from these feats of endurance I’d be no use for anything the next day. The whole exercise might thus sound masochistic, counterproductive, or a bit daft at best, but I have no regrets – none but the few times I probably shouldn’t have been driving a car. I have two little dogs. When they suffer for some reason, on the strength of my oneness with them, I also suffer. 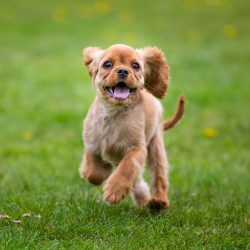 God has created these little dogs, but I have established so much oneness with them that I feel miserable when they suffer. In our case, God has created us. Naturally His Affection, Concern and Compassion for us will be infinitely more than what I can ever feel for my little dogs. So when we are suffering, we have to feel that God also is suffering. If my Beloved Supreme agrees to suffer with me, then I have to accept my fate as it is. It is not that God has given us this suffering so that we can become a better person. God does not work that way. Only if it is something really good does God give it. But if something painful happens, then God may tolerate it. At that time, if we love God, we will say, “If God can tolerate this pain inside me, with me and for me, then I will have nothing to say against it. I will only pray to God for the fulfilment of His Will. In the past year everything has improved so radically I almost dare imagine the worst is over. The sense I used to have when the clouds finally dispersed is intensified, as day after day I’m free from pain and all the other special features – the stray dogs, phantom neurosurgeons and so on. A natural reaction is to wonder why. Granted, I do at least two hours of spiritual practice a day; I eat only plant-based, organic, gluten-free wholefoods, including a kilo of fresh vegetables and fruit a day; I walk about four miles a day; I watch less than an hour of telly a day and have nothing to do with social media; I do yoga; I take cold showers; I pay my taxes; I’m kind to animals; I try to be a good, helpful and happy person in any way I can. Do I not then deserve to be well? I, I, I – of course it doesn’t work like that. While it’s important that we each do our best, that effort perhaps counts for only one per cent of any outcome. As Sri Chinmoy teaches, the other ninety-nine per cent comes from Grace. When we look closely, we realise even ‘our’ one per cent is Grace. In the beginning, we always feel that it is one per cent God’s Grace and ninety-nine per cent our hard labour. That is what our stupidity tells us. Then gradually we change our philosophy. We say that it is ninety-nine per cent God’s Grace and one per cent our labour. Then we come to the point where we say, “Are we sure that our labour is even one per cent?” We dive deep within for just a few seconds and we see that it is all one hundred per cent God’s Grace. Who knows if my days of ill health are over. Perhaps this is only a reprieve – maybe it’ll all come back, or be replaced with something else – but there’s no point worrying or even wondering about that. I don’t remember where I read it, but I recall Sri Chinmoy said something along the lines that if by Grace we have been cured of something, we must remain grateful to the Source in order to keep our previous ailments at bay. That being the case, I pray I remember to do so for my every remaining day on earth. These rhyming plays began on a Christmas Trip with Sri Chinmoy in China, December 2004. On our winter retreats, as well as meditating with Sri Chinmoy in person, we had the privilege of immersing ourselves in his new creations: songs, prayers, aphorisms, stories and artwork. In the evenings it usually fell to us, his disciples, to entertain one another on stage. 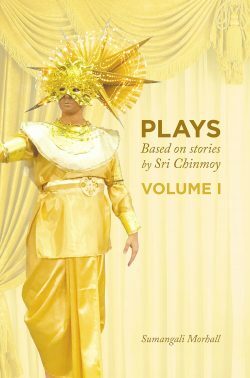 Much of the programme consisted of plays based on the Master’s stories – some of which are tales retold from Indian folklore, others anecdotes from Sri Chinmoy’s own experience, others born of his own creative imagination, and many seemingly from delightful worlds between. I was quite sure it would end in disaster even before it began, but to my surprise there were no accidents, even amongst the short-sighted, and any confusion was only a minor distraction. Sri Chinmoy was attentive, and I dare say even seemed quite pleased, which astonished me no end. So a new tradition began, and has continued beyond the Master’s passing, as the Sri Chinmoy Centre meets each year for Christmas Trips. As with all his art forms, Sri Chinmoy’s stories spring from a source of meditation, and convey his timeless spiritual teachings. While the Master encouraged us to embellish them in our plays, this is a fine line to tread. I sincerely hope to have kept the essential message in each, and above all encourage the reader to enjoy them in the original. One of my colleagues – an especially hard-working and time-pressed one – consciously avoids the word ‘busy’. As an exercise I tried the same for a week and found it surprisingly awkward. That was an education. I’ll be trying to make it a long-term habit, as the mere effort has changed my outlook. The poor word itself must feel overwhelmed by over-use. Usually preceded by ‘too’, it implies exhaustion, unwillingness and stress (yet another over-worked word). Of course, many people genuinely like to work. A beach holiday would be the stuff of nightmares for some. When hailing a taxi recently I was greeted by a man well into his seventies. He’d taken to the life of a cabbie on retirement, as he’d found his days too long and uneventful. How spritely and positive he was, how willing to be of service. I love to be occupied too, and would always rather have too much to do than not enough. But almost any action can be healthy or unhealthy depending on the extremes to which it’s taken, and – no doubt more importantly – the intentions driving it. Food is good and necessary, but eating too much or too little can be harmful and may lead to compulsions. One needs a certain number of belongings to exist in reasonable comfort, but hoarding for the next zombie apocalypse is perhaps going a bit far. Just so with work. There comes a point when one must say: good enough is good enough. For me this is not a natural tendency. I caught myself the other day with a shovel in both hands, decanting compost from one bin to another and determined to discharge the task ‘perfectly’. Yes, every last pineapple peeling, each shred of brown paper, the very teabag in the furthest corner must be winkled out, cast onto the wheelbarrow and transported without the loss of a single worm or crumb of material along the way. I laughed aloud at myself. Here is a stinking heap of waste, mouldering, writhing with flies and nameless invertebrates – the least perfect substance one could imagine. Yet I perspired not just from the physical labour, but also from the self-imposed duty of a timely and tidy execution. Once my self-mockery had receded, I took a deep breath (facing away from the wheelbarrow), and asked myself where God is in all this. For me there is always – and must always be – a reply to that question, it’s just a matter of remembering to ask. He is perhaps easier found in the kitchen or the vegetable garden, but I’ve no doubt He resides there too – in the transformative nature of compost, rife with as many metaphors as microorganisms. The Sri Chinmoy Centre recently offered a free meditation course in York. I always find such classes illumining and enjoyable – sharing a practice that has been life-changing in the case of my peers and myself, and which proves at least life-enhancing in many more cases. For me it’s far more than just a hobby, but I’m glad to see this simple tool entering the mainstream, now widely adopted for physical and mental health, if not for spiritual growth per se. Sadly, many people feel too busy to dedicate even 5 or 10 minutes a day to switching off devices and delving into quietude. They’re frustrated not to do it ‘perfectly’ first time, even though the effort itself is almost sure to bear fruit. The chronically overwhelmed – those who would perhaps benefit most – are often the least likely to practise. Strange how the advance in technology seems only to have made us feel more fully occupied. Since we no longer have to dig the field for food, hew out our own shelter from stone, chop wood for warmth, stitch our own clothes from hide or handwovens, how did we come to this? In the 1930s John Maynard Keynes predicted my generation would be working a 15-hour week. In fact our expectations – of cleanliness, comfort and enjoyment – have risen in line with our standard of living, if not beyond it. The perceived value of time – both for leisure and work – is growing constantly. The vast array of choices available in every sphere of life add pressure and take time. Add to that the pressure of social media and other time spent (or wasted) online – incessantly checking emails, news, stats – often while trying to complete a number of other tasks, and the perceived increase in busyness is no great mystery. 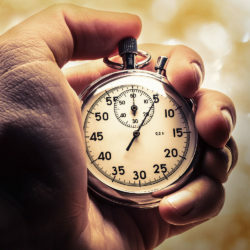 Perhaps Keynes did not reckon on the power of Parkinson’s Law – that work really does expand to fit the available time. He surely didn’t reckon on the power of the Internet to distract, confuse and harry. Though I eschew social media and avoid wasting too much time in other ways, I regularly catch myself assuming busyness is related to self-worth, if only as a distant cousin. Occupation is good – it pays the bills, it builds and creates useful things, it helps the body remain fit, keeps the mind out of mischief and brings a sense of contribution that is no doubt valuable – but inwardly it is just a vehicle and not the goal. Clearly I am only part-way towards that goal myself, but it’s one I long to reach. With baby steps I’m gaining ground, thanks to the teachings of Sri Chinmoy. Essentially the key is to feel awareness inwardly and outwardly at the same time during any activity. Though it may sound counter-productive, rather than splitting attention, it actually focuses attention. At our meditation retreats in New York twice a year, each visitor takes at least one shift preparing or serving meals. Cooking takes place at a vegetarian restaurant called Annam Brahma, across the road from the grounds where we meditate and where Sri Chinmoy himself spent a great deal of time during his life. Whether weighing or chopping vegetables, stirring great vats of curry, or washing up afterwards, we work in silence as per Sri Chinmoy’s request, excepting any words deemed necessary. I love the stillness amidst the dynamism. A somewhat monastic atmosphere pervades, an almost tangible divinity, far from anything to be expected in a hot and bustling kitchen. Though the tasks are simple and leave the mind free for the most part, one almost cannot think about mundane earthly things in a place that has been dedicated to the soulful preparation of food for decades. According to Sri Chinmoy, a cook’s consciousness can affect the food itself, and thus the recipient. While preparing food at home I try to recall the feeling of Annam Brahma as best I can, with varying success. I am not a natural multi-tasker, but in trying to centre myself, clear my mind and focus solely on the task at hand, I am better placed at least to avert disaster in the kitchen. If I may use the forbidden word once more, in all my life I have never been so busy as I am these days – or should I say I have never had so little time to waste – but I’ve also never felt so well or so content. Although my days are long and start early, my week’s paid work takes just slightly more time than Keynes predicted. I feel very fortunate the rest of my time is largely taken up by household chores. Despite a genuine concern for the rights of women, I confess to being particularly well suited to domesticity. As any nun or monk will tell you, simple tasks lend themselves more readily to a life of inner reflection. Ours is a dynamic and abundant path, and I’ll be forever learning along the way. Sri Chinmoy asks that we have an occupation, that we remain active and serve others as much and as often as we can. But just as a prayer recited in parrot-fashion may not reach the intended Recipient, work carried out mechanically, unwillingly, or even resentfully can have no inner benefit, and perhaps only little benefit outwardly. Ours is to try and live the inner and outer lives in tandem. In so doing, one may fit ever more into a day or a week. 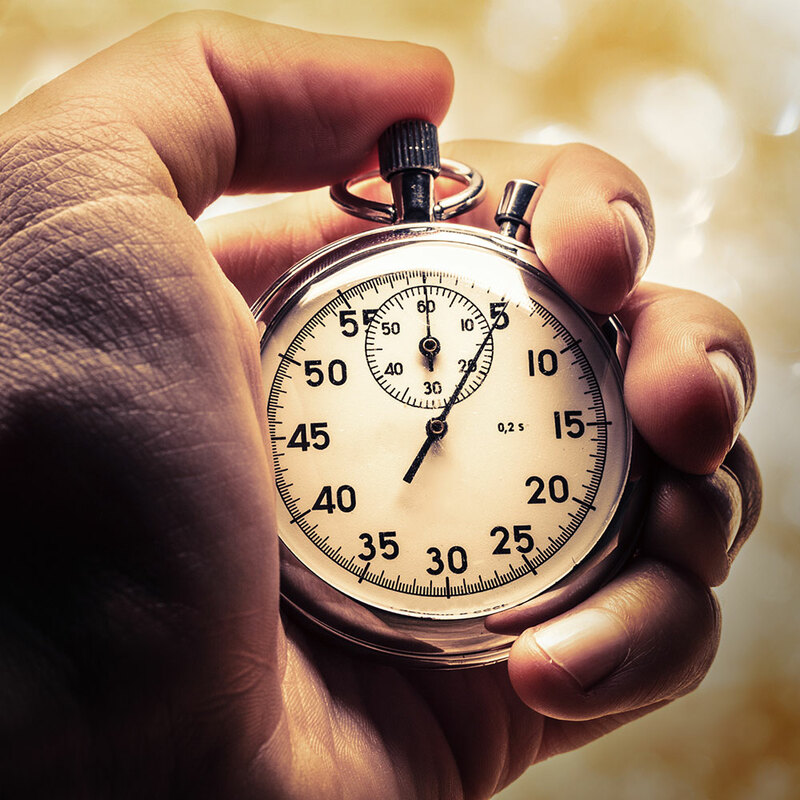 Busyness then becomes ever more efficient, and time seems increasingly elastic. Benjamin Franklin was right about more than just electricity. I never imagined I’d turn into a packet-reading food-nerd. I thought that kind of life was for other people. My past experience with strict diets didn’t bear any discernible fruit. One excluded all fruit in fact, as well as dairy, gluten, soya and anything that was even a distant relative of fungus. I clove to it rigidly for 18 months, on the advice of a dubious practitioner, and felt precisely the same as before. I ended it suddenly and spectacularly – celebrating with pizza and ice cream – then came out in a nasty rash. That’s the sole physical response I remember from a long and disappointing episode. I denounced diets as hokum from then on. Having been brought up in the British stiff-upper-lip tradition, I tend not to talk about ailments unless people ask specifically – and perhaps even repeatedly, so I know they’re not just being polite. We are not, I think it can be safely said, a family of malingerers. My father recently broke his back in two places, but cycled home four miles and slept on it a night before seeking medical advice. My brother once fractured his foot in the rigours of a marathon, but we are not predisposed to rest. The break thus opened three times more, until some bone had to be purloined from elsewhere and bolted on with metal to be certain. Though I’m probably not the most stoic amongst us, we are all determined problem-solvers. We can also be stubbornly – perhaps even ruthlessly – positive. I’ve had more than 20 years of sketchy health, which is not at all interesting in itself, but it has led to many interesting lessons. After reading Auspicious Good Fortune, people often ask what has happened to my physical strength since the end of the book – not, I hope, because my physical struggle was the most engaging part of the story, but because that part of the story was left unresolved. In answer, my recovery is still in progress, but has come on in leaps and bounds – largely thanks to two discoveries, both of which I consider miracles. I’m a firm believer in prayers being answered at God’s appointed Hour, and not a moment sooner. It was 2011 when I came across Ashok Gupta, whose excellent course brought me around 70% recovery from CFS, for which I’ll be forever grateful. The remaining 30% I assumed I’d need to manage long-term, which I’d already accepted gladly in comparison. Then earlier this year came the second miracle. This one may be of interest to those with pretty much any condition that defies traditional medicine. Hence I’m sharing it here with genuine enthusiasm, rather than evangelism. If you and yours are already healthy, more power to you. No need to take the trouble of reading on. I don’t set out to disparage our beloved National Health Service. In Britain we’re lucky still to have one at all. If ever I find some important part of me has fallen off, or dramatically changed shape, I’ll be straight on the phone to them (assuming hands, mouth and ears are still intact). But while the general practitioner in a village surgery is doubtless employed as God’s instrument on a regular basis, one cannot expect him or her to be omniscient. My current household comprises: my mother with a long history of MS (or some such, it was never confirmed), myself with a long history of ME, and one small dog with mobility issues (her behavioural issues may or may not be relevant here). Perhaps the latter can be considered a control in our experiment, as she shows no interest in taking part. It was my mother who discovered Terry Wahls – purely by ‘chance’ if you believe such things – a medical doctor in the US who developed MS, and who was gradually declining, as science would expect. She was eventually confined to a wheelchair, but with a busy consulting job and two small children, she wasn’t about to give in. On top of her existing duties, with painstaking research and experimentation, she designed a regime of diet, exercise and meditation. Within five months she was not just out of the wheelchair, she was riding a bike. As you can probably gather, this is exactly the kind of gung-ho no-nonsense approach to life that would appeal to my family. “We have to try it,” I said, and so we did, but without expectation. Initially I followed the guidelines myself just for solidarity, as well as for practicality – I’m Head Chef at home and didn’t fancy cooking different meals for each of us. I hadn’t even hoped for any personal benefit, but now I follow gladly for my own sake too. The first thing people tend to ask is what we’re not allowed to eat, but it’s more about eating enough ‘good’ things in as wide a variety as possible, and in almost comical quantities. There is simply very little space left in a human body for ‘bad’ things once that’s done. Essentially ‘bad’ means: gluten, dairy, refined sugar, anything overly processed or starchy, and anything grown with the help of chemicals. In brief, ‘good’ means nine tightly packed cups a day – three heaped dinner plates – of fresh fruit and vegetables. A third are greens, a third sulphur-rich (mushrooms, brassicas and oniony things), and a third are richly coloured. Ideally one would eat a rainbow daily. The only sticking point is that TW is a staunch carnivore. To the dismay of our dog, we’ve adapted the regime to a vegetarian lifestyle. For me – following the teachings of Sri Chinmoy* – this is largely a spiritual choice, but just about any reason you can think of is a good one as far as I’m concerned, and has been since my teens. My mother has made the choice more recently for a variety of reasons (none of which is my coercion, I must add). But despite our ‘cheating’ by not living like proper cave-persons and abiding by their more gruesome traditions, the changes are remarkable. In two days we both felt quite different. At three months, the results now border on the magical. 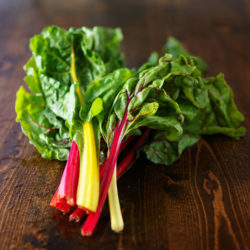 We have two deliveries a week, containing a full colour spectrum of organic fruit and vegetables. It’s like a game of Tetris trying to fit the parcels into the fridge without them getting squashed or falling out again. The mound of produce in each meal for two looks like enough for a family reunion, or for some herbivorous zoo animal. Within days, the shelves are completely bare again. * The kind of food that keeps the body and mind calm and quiet is the best food for those following the spiritual life. Naturally, vegetables are far better than meat. Meat comes from the animals, which are always fighting and destroying one another. If we eat meat, then the animal consciousness enters into us. And it is this animal consciousness that we want to transcend. But the consciousness of vegetables and fruits is very mild. They are not destructive like animals. The second thing people usually ask is whether we crave or miss anything, and the answer is genuinely: no. There’s an overwhelming sense of abundance, rather than of abstinence. With plenteous ‘good’ fats and a vast array of condiments, pretty much anything can be made delicious, but organically grown versions of pretty much anything are markedly more flavoursome anyway. They tend to taste as one would hope they’d taste, rather than just looking right and being a bland disappointment in the eating. Some say, “I wouldn’t have the will-power,” but truly it’s organisation that counts. Sourcing, preparing and even making time to eat such quantities takes planning of almost military standards. Very fortunately we both have a penchant for spreadsheets, which I realise not everyone shares. A pencil and paper would be the required minimum. Some say the expense would put them off, or would be truly prohibitive. Indeed, we’re extremely lucky having access to ingredients of such quality. But even fast food is not always cheap. Adapting a house, garden and car for disabled access is not much of a bargain either. Missing countless days of work over several years is about the least cost-effective way to live – especially when one is already rendered unemployable in the traditional sense, and has no insurance or sick leave to fall back on. And that’s just our own past and present. Who knows what troubles, as yet unrevealed, we’re nipping in the bud. A recent visit to America for the Sri Chinmoy Centre bi-annual celebrations was the biggest test for me yet: my first foreign trip since starting this regime, and straight into the home of Coca Cola, McDonalds and Hostess cakes. But my jaw was set. I first played vegetable Tetris in the freezer as well as in the fridge before leaving home, so my mother could subsist without me for a while. I then offered a fervent prayer against power-cuts in my absence. On landing in New York, before even taking so much as a glass of water, I forayed out into a raging thunderstorm for supplies at our local store, Guru Health Foods. Every day saw me hurrying away with boxes and boxes of greens between singing practices and meditations. Only once I made a trip from Queens to Manhattan, with my heart set on visiting a certain health-food supermarket – highly acclaimed for quality and variety. I imagined my new obsession would be fed sumptuously, and I’d struggle to carry all my chosen treasures home. In the event I turned my nose up at most of it, and returned with just two types of radish in a paper bag. It was then I realised the full extent of my transformation to packet-reader. You may laugh. I certainly did. But the proof of the pudding – or daikon – is in the eating. For the full ten days I stuck to my guns, and felt astonishingly well. Landing back in England I’m impatient to see our new vegetable garden, converted from a disused triangle of lawn, with raised wooden beds at scooter-friendly height. I arrive to find everything about it tidy and sturdily built, and now can’t wait to see it burgeoning with green. My mother has drawn out detailed plans several times on graph paper, but in the end we just have to dive in – accepting we are novices and will make mistakes. Normal people have their vegetable patches out the back somewhere, but ours has ended up beside the pavement, where all and sundry can monitor our progress and pass comment. Nobody has offered anything but enthusiasm so far, and a few secret scraps of advice. All seem to share in the anticipation. We dig out little trenches for seeds and seedlings my mother has been nurturing. 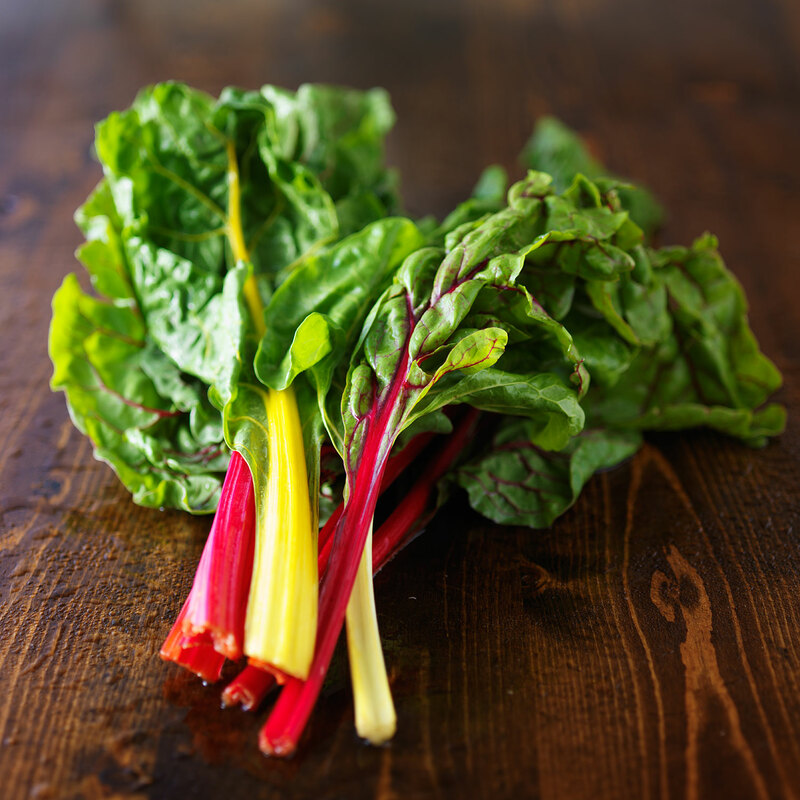 Our ambition has crept up and up – to the heady heights of cabbages, cauliflowers, chard, rocket, pak choi, watercress, peas, beans, salad leaves, radishes, kohl rabi, two colours of tomato, several types of broccoli and kale. Elsewhere are various herbs, strawberries, raspberries, tayberries and blueberries. I laugh now as I didn’t know what kohl rabi was before all this began. I’d never eaten kimchi. I’d never cooked buckwheat or chicory or a curry from scratch. It’s a veritable whirlwind of adventure. I breathe in the fragrance of the earth in sunlight and am suddenly back in childhood, skipping rope in my grandfather’s garden, the scent of tomato vines and feed and fertiliser all tumbling back in a warm glow of fondness. I watch the seedlings changing overnight, breathe in the scent of earth in rain, and think how many have gone before us in this humble yet magical endeavour. Life-giving life unfolds before our eyes, and I can only give thanks for it. My running life has had a chequered past. I know I’m not alone in having detested cross-country at school, but that’s no true prediction of one’s relationship with the sport anyway. Who wants to be clambering through mud and weeds in the dead of winter, clad only in shorts and a polo shirt? Very few. A sadistic glint in the eye of our games mistress was never more apparent than on those frosty and overcast days. 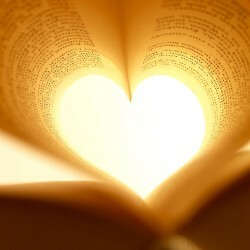 Only the heart can heal such misadventure, and inspire one to try again in later life. In my latter teens my mother cajoled me onto the country lanes for two miles each day before breakfast, and I learned to love that wholesome start to the morning. But running was not so fashionable as aerobics in the late 80s and early 90s, so I soon chose to exert myself in the more convenient setting of a gym. It was only on joining Sri Chinmoy’s path of meditation in the late 90s that the subject of running even raised its head again. My Guru was a champion decathlete at the Indian ashram where he spent his youth. Later, having moved to America, he took up marathon and ultra-distance running. Sri Chinmoy’s teachings combine the ancient depth of the East with the modern dynamism of the West. Though he enjoyed and excelled at many sports – weightlifting, football, tennis, cycling – running held a very special place in his heart. The Sri Chinmoy Oneness-Home Peace Run still continues each year – a torch relay, spreading the message of peace across countries and continents. Races are held each year in his name too, throughout the world – from 1 mile to 3100 miles. So running is woven into this path of meditation, and in time I learned to love it again. I even managed to run a couple of marathons, and worked full-time at a branch of Run and Become for a few years. But overall my relationship with running has been rocky. For the last 20+ years I’ve battled with CFS and its retinue of ailments – with which I won’t bore you here. 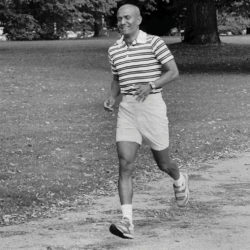 Not that running is necessary for spiritual progress, of course, and Sri Chinmoy would never encourage us to push ourselves beyond that which is safe or healthy anyway, but his emphasis on running stems from the inner opportunity it offers. It’s especially simple and direct. And so I come to be huffing and chuntering like Ivor the Engine along a country lane at 7 o’clock of a Sunday morning. 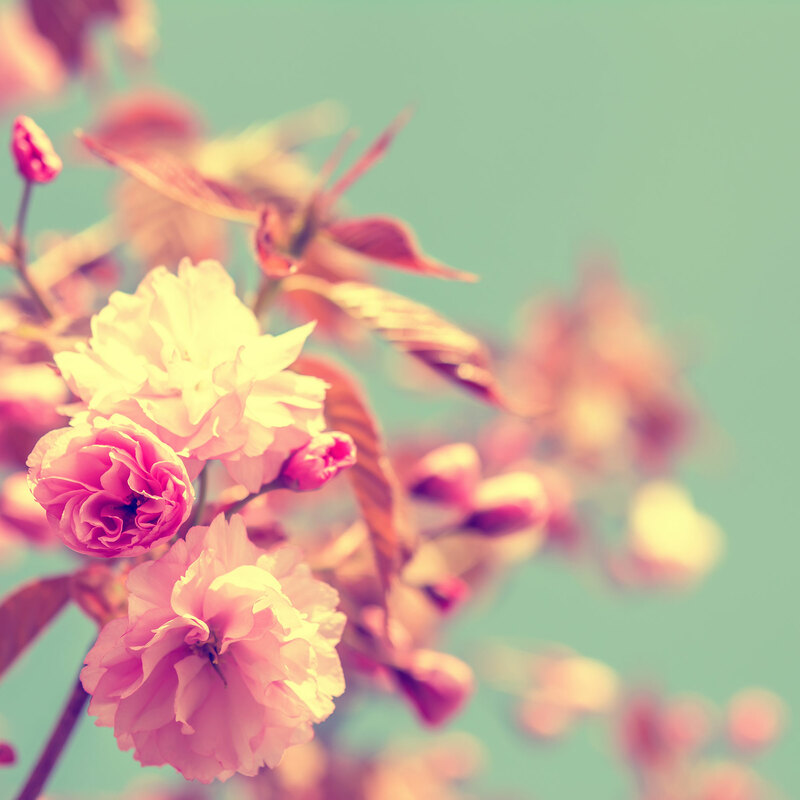 Each year our British and French meditation centres meet for weekends known as Joy Days. Amongst the regular features like meditation, singing, socialising and copious amounts of food, is the 2-mile race. Mine is usually a mile’s walk at best – a jog could render me unwell for at least the rest of Sunday, and probably Monday to boot. Let me not bore you here with the details of my new regime, but it has at least afforded me the luxury of tying on my running shoes and heaving my 115 lb frame along at a 12-minute pace. In reaching the start line, I face both the physical discomfort of my lack of fitness and the social discomfort of displaying it to all and sundry. Need the race really be marshalled by a running coach, a Channel swimmer, a champion cyclist and a 3100-mile race finisher though? Apparently so. That should add to my embarrassment, but it adds to my amusement. I’ve found the best athletes are often the most encouraging to those least able anyway. My experience provides a great wealth of data on that subject, and today is no exception. “I’m the last, thanks,” I gasp out triumphantly to each marshal I pass – or at least that’s what I hope it sounds like – informing them their job is done, so they can go in from the cold. From the final bend to the stopwatch probably feels like a long straight for anyone, but I can only coax myself from one tiny goal to another. At first the markers were big things, like cars or the stone walls of houses. On the ultimate lap they’re daffodils, barely a stride’s length apart. Everything in me protests in pain and a desperate longing for air, but all ahead are kindly cheering, calling me on in oneness (and perhaps a little mirth – I don’t mind if so). While part of me cringes in self-consciousness, and I may be grimacing outwardly, most of me effuses joy and gratitude. Genuinely. This, let me tell you, is progress in itself. The journey of accepting my fate as a perennial loser has been a long one. Twice a year I visit New York, where Sri Chinmoy made his home from 1964 to his passing in 2007. There we have a 2-mile race on Saturdays, for which I at least turn up. At the lofty peak of my fitness I only broke 17 minutes for 2 miles, and then just once. I have never been – and probably never will be – good at running in the physical sense. But the point is self-transcendence – competing with one’s own prior achievements and with one’s own inner limitations. So mine is to do my best in propelling myself forward, but also – crucially, as I have learnt by hard experience – to do so with sincerity and cheerfulness. While watching my fitness decline over several years, I would often finish those races in tears – of frustration and self-pity – and there is far more shame in that than in finishing last, believe me. In the absence of athletic prowess, and when I also fail to remain in a soulful mood, I’ve since found the greatest asset to be a sense of humour. Not only would I be lapped by countless runners, but would have to dodge round clusters of them at the finish, in order to embark on the last epic lap of my own. When I had looped back again at last, there was often just a space where the display clock had been, so I never actually knew how dismal my time was. A few helpers would be bumbling around, clearing dead cups from the street, the water urns all drained of their last drops when I was finally ready for them. During Sri Chinmoy’s life he would offer a prayer and prasad (blessed food) at the end of each race. If I arrived in time for either, that counted as a victory to me. But often I was still shuffling around when everyone else turned back the other way in droves for breakfast, not considering for a moment that I might still be ‘racing’ at such velocity. Assuming I was doing some kind of modest cool-down, someone might even try to engage me in conversation. I wasn’t laughing then, but it’s hugely funny to me now. It’s taken time, but having witnessed members of my family – for various reasons – unable to walk so far as the local shop for a pint of milk, I’ve seen my own capacities in a new light. Even when running has been out of the question, the ability to walk can seem like a super power in its own right. I can now say that to run at all, even pathetically badly, is a privilege. To run is to offer what I have – even the precious breath that feels like my last – with as honest and joyful a feeling as I can. While Sri Chinmoy advocates a healthy body to support a life of meditation, he also sees running as a metaphor for life itself, as evidenced in his talks and poems. Through his teachings and through my own experience, I believe if I can master an approach to running, I take a step towards mastering my approach to life – albeit slow and shuffling. If ever I’m fortunate enough to join a race, I may well be last, but I need not be the loser. Why do I meditate (and why do I write)? It is often said that while meditation is simple, it may not be easy. In a growing culture of ever-quicker fixes, those new to meditation are prone to giving up early, convinced they lack the aptitude. In truth, few take to it naturally right away. It is the effort, the direction, the giving of priority, of time, of space, which are pivotal. One cannot sow a seed and force its growth in the space of a day. Even a good meditation cannot be measured like a waistline or a golf score. One may not know how profound a meditation has been until surfacing again into the world, even if then. Though I first learned to meditate around thirty years ago, and practised somewhat regularly, today marks twenty years of my formally practising a spiritual life, as a disciple of Sri Chinmoy. Before embarking on such a journey – as on any journey – the mind wants to know what is involved. What skills, provisions, equipment will be required? How may I ready myself? One may as well leave provisions behind, along with any preconceptions. All is amply provided, and revealed in its own time. It need not make sense. In fact it is highly unlikely to make sense to the mind at all. Before I went to make my solemn vows, last spring, on the Feast of St. Joseph, in the thirty-third year of my age, being a cleric in minor orders – before I went to make my solemn vows, this is what it looked like to me. It seemed to me that You were almost asking me to give up all aspirations for solitude and for a contemplative life. You were asking me for obedience to superiors who will, I am morally certain, either make me write or teach philosophy or take charge of a dozen material responsibilities around the monastery, and I may even end up as a retreat master preaching four sermons a day to the seculars who come to the house. And even if I have no special job at all, I will always be on the run from two in the morning to seven at night. By the time I made my vows, I decided that I was no longer sure what a contemplative was, or what the contemplative vocation was, or what my vocation was, and what our Cistercian vocation was. In fact I could not be sure I knew or understood much of anything except that I believed that You wanted me to take those particular vows in this particular house on that particular day for reasons best known to Yourself, and that what I was expected to do after that was follow along with the rest and do what I was told and things would begin to become clear. That morning when I was lying on my face on the floor in the middle of the church, with Father Abbot praying over me, I began to laugh, with my mouth in the dust, because without knowing how or why, I had actually done the right thing, and even an astounding thing. But what was astounding was not my work, but the work You worked in me. Twenty years after lying in metaphorical dust myself, I know now as I knew then that this is right for me, when up to then I had no clue of how to lead my life. In fact I had made an awful mess of trying. I was especially fortunate the first ten years of my discipleship fell during Sri Chinmoy’s lifetime. The second have been spent since his passing, but are no less rich or rewarding. Though I meditate daily, sing songs my Guru composed, and read his writings, it would take more than a lifetime to absorb and apply even a fraction of these gifts. Often Sri Chinmoy would take spiritual questions from an individual, and often his replies would be published for all to read. So many spiritual challenges are universal, as are the spiritual truths and inspirations a Master may give to answer them. 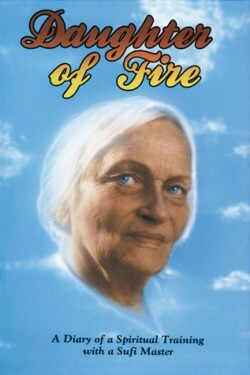 But a significant aspect of Sri Chinmoy’s path is the idea that each person has a soul unique in all Creation, albeit a perfect spark of one Source. Spiritual progress is intertwined with the recognition of that soul – of the Source within us – and with bringing it to the fore in daily life. While the Goal of spiritual practice may be the same for all, the route is unique for each. Simple, but not easy. Though concise and comprehensible, these prescriptions actually form more than a lifetime’s inner work for me. Yet they have already afforded me inner wealth beyond my imagining. The first thing I should tell you, in case you don’t know, is that I’m a life-long introvert. Like Merton, if I thought the spiritual life would mean solitude – especially a complete withdrawal from speech – I would seriously consider it, albeit for different reasons. Mostly I can manage conversation with one person at a time, although the duration needs must vary. But when my voice reaches more than one set of ears, it is prone to falter. The facts and stories in my mind – generally well-ordered and filed, at least by category if not strictly by date – break or dissolve entirely under the pressure of presenting them. I would my mind could be so blank in meditation. 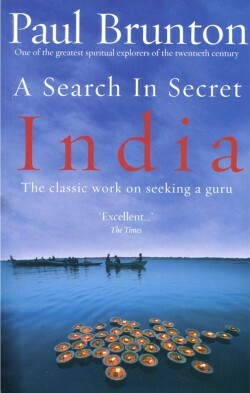 Indeed introversion need not equal a lack of confidence, and I believe that is what my Guru sought to teach me. True confidence has nothing to do with ego or audible volume – it is a deep inner quality, founded on the bedrock of the Source. And it is there I continue to search for it in myself – with varying success, but with an ever-clearer picture of my goal. Of course, introversion is a great asset when it comes to writing. A writer must closet herself away from interference and distraction. Writing is neither simple nor easy, but I don’t find it anywhere near the onerous task poor Merton hints at. If speaking can one day bring me half as much enjoyment as writing, I’ll be jolly glad (and utterly amazed). Sri Chinmoy encouraged writing as a companion to the spiritual life. He himself wrote prolifically, and published hundreds of books, including thousands on thousands of poems. He recommended his disciples write down any experiences we may later find of inspiration. Even advanced aspirants cross bleak deserts on their journeys, and may even lose their way entirely. To recollect times of special insight or joy can help to reorient the seeker, and recalibrate inner instruments. Our Goal is within us. To reach that Goal we have to take to the spiritual life. In the spiritual life, the thing that is most needed is awareness or consciousness. Without this, everything is a barren desert. When we enter into a dark place, we take a flashlight or some other light in order to know where we are going. 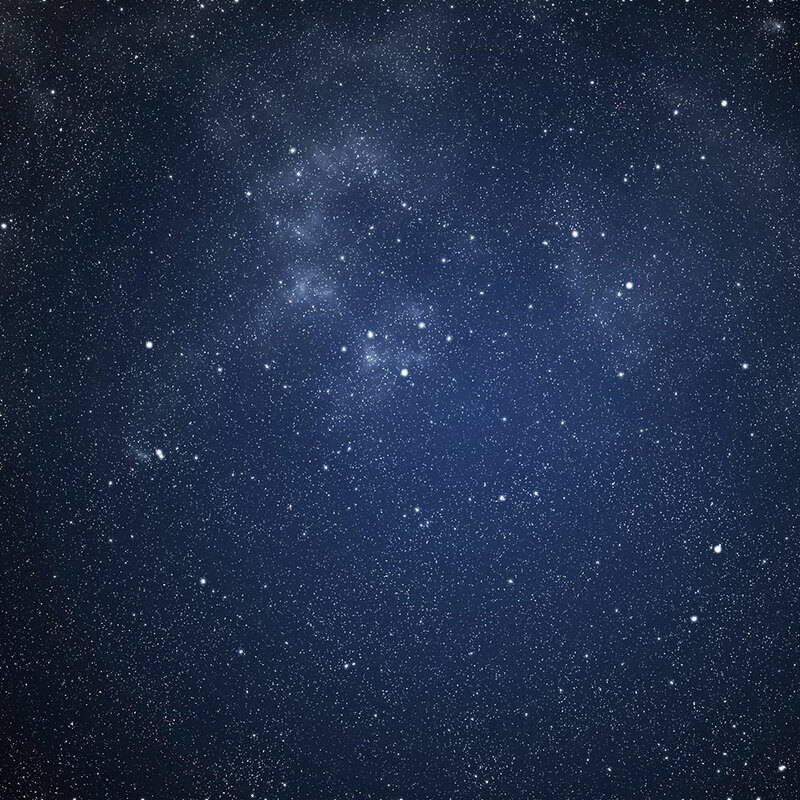 If we want to know about our unlit life, we have to take the help of our consciousness. Let us go deeper into the matter. We know that the sun illumines the world. But how are we aware of it? We are aware of it through our consciousness, which is self-revealing. The functioning of the sun is not self-revealing. It is our consciousness of the sun that makes us feel that the sun illumines the world. It is our consciousness that is self-revealing in everything. – Sri Chinmoy, Yoga and the Spiritual Life. The journey of India’s Soul. Sri Chinmoy’s third prescription was given with regard to my occupation, and I could not have been more surprised had he recommended I become a construction worker, or a politician, or anything seemingly less compatible with my nature. That which has become an empowering and immensely practical piece of advice, at first baffled me completely. What has joy to do with work, I wondered. Is not work synonymous with toil, sacrifice and necessity? By increments I have dared to follow it. I would not have thought to give myself such extravagant permission, but have found it equally liberating and practical in all aspects of living. It was as though he had handed me a kaleidoscope of wonder through which to see my life anew. In practice it is simple, but not easy. I must constantly ask myself where is the real distinction between joy and comfort. True joy is perhaps like eating a salad of fresh vegetables in every colour of the rainbow. Comfort or pleasure is like bingeing on half a packet of chocolate cookies. The latter brings only short-lived happiness and is instantly regrettable. Always we have the boon and the burden of free will. As long as you don’t hurt anyone, you really get to do with your acre as you please. You can plant fruit trees or flowers or alphabetized rows of vegetables, or nothing at all. If you want your acre to look like a giant garage sale, or an auto-wrecking yard, that’s what you get to do with it. I imagine my acre as mostly garden – perhaps a few covered rooms with lots of windows. My acre may appear plain to those who fill theirs with tall buildings and grand belongings. Though it may have many coloured fruits and flowers, its calm spaces are deliberate and essential. My acre may be too simple for some, but to keep a space clear when all of life is bent on crowding in it is not always easy. Not easy to spot and root out the bindweed of attachment, thistles of dissatisfaction, brambles of self-deception, and the creeping moss of insecurity. Daily it must be done. Hourly, even. 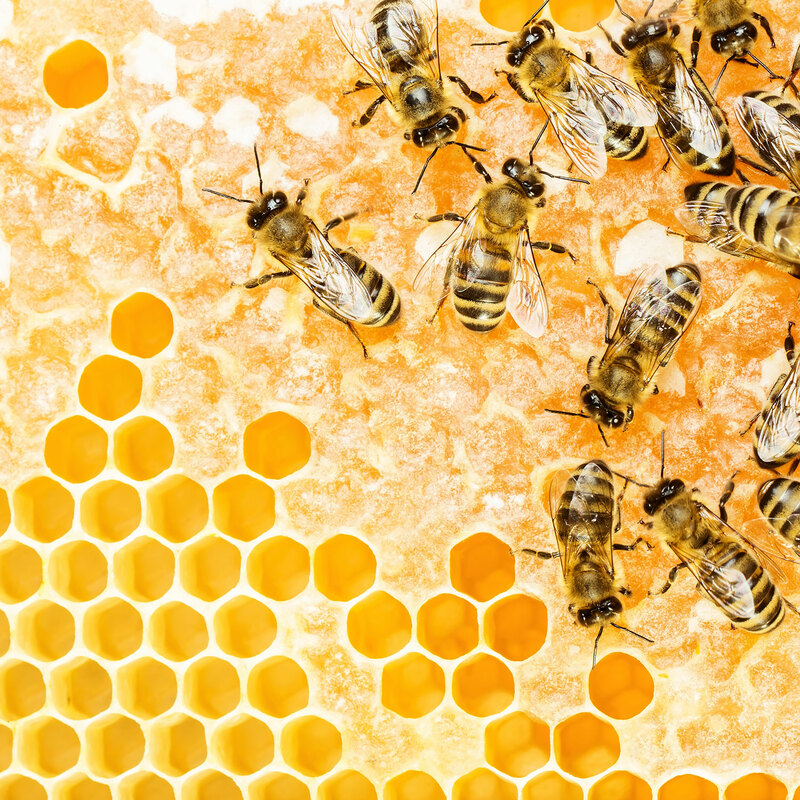 Mine is not to live as conventional nuns and monks do, but I endeavour to weave my spiritual practice into all of living – working, cleaning, cooking, eating always with an eye on the metaphorical garden. That is the way not only to spot the weeds, but also to enjoy its ample delights, its sweet fragrances and pure blossoms. And so, my one imaginary reader, I look out on a copse of metaphorical cherry trees as I write to you, and I wish you happy in your own acre too. In gratitude to Sri Chinmoy for twenty astonishing years. (…in my subjective opinion). This is a work in progress – I hope to collect more spiritual memoirs and autobiographies here as I read them, and write more on the ones I found the best. 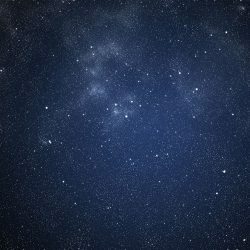 Do leave me your own recommendations in the comments, as I’m always looking out for more. Although my reading is somewhat skewed towards the Indian tradition – because that’s the basis of my own spiritual path – I enjoy sincere spiritual writing from any background. I would treasure this book for the brilliant writing alone, but it is also a source of spiritual inspiration and an important historical record. Written with devotion, but without stooping to sentimentality, this is a description of one of the greatest spiritual Masters ever to live, from the viewpoint of his disciple and attendant, Nirodbaran. Until the late 1930s, Sri Aurobindo lived in almost complete seclusion at his Ashram in Pondicherry. Following an injury, and up until the time of his passing in 1950, he needed closer medical attention. 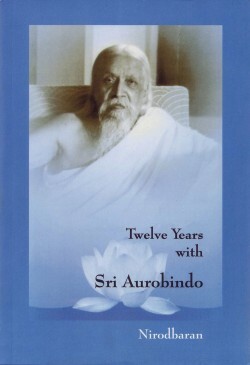 The author initially entered the scene as a doctor, but over time his service evolved to cover various roles, including that of stenographer for Sri Aurobindo’s immortal works of poetry. A candid, humble and intimate account. This is such a precious and important book. I just finished reading it for the second time, and I’m sure I will read it again. 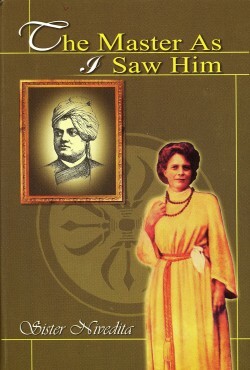 It is an incredibly humble but intelligent description of Swami Vivekanada’s life through the eyes of a close disciple. I found myself almost wishing Sister Nivedita had not been so humble in her writing, as I wanted to know more about her own struggles and victories, but of course that very humility is one of her greatest strengths, and she has achieved exactly what the title promises: Swami Vivekananda as she saw him. She herself is all but invisible while relating what she has learnt and what she remembers. Her Victorian use of language is delightfully precise. It has enough Western interpretation to make it relatable to a Western reader, but without losing the intensity or freshness of this remarkable life – a life instrumental in bringing Indian spiritual traditions to the West. It gives fascinating insights, not only into what it was like to be with Swami Vivekananda in person, but also into his teachings. It is moving and often breath-taking, without at any point being sentimental. I absolutely love this book. I almost wished I could wipe it from my memory as soon as I’d finished it, so I could go back and discover it anew right away. 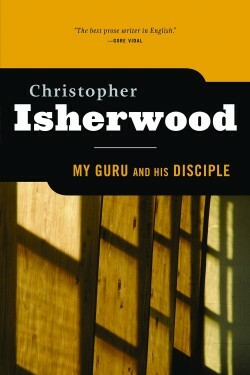 Isherwood’s writing itself is a work of genius – his descriptions are pure elegant simplicity, completely clear windows on his experience. His honesty as a spiritual seeker is itself a triumph. The story describes his time with Swami Prabhavananda, and how he struggles to balance East and West, inner and outer life. For anyone seeking a spiritual teacher, or even anyone having found the right one, this story is incredibly moving. Brunton’s erudite use of language, coupled with his ruthless inner and outer search, makes this a gripping read from start to finish. Following an inner call, he spends months travelling around India, interrogating yogis, pundits and fakirs – some genuine and some not so. His descriptions of the journey alone would make a beautiful travel journal. But his descriptions of inner experiences are breath-taking, especially those in the company of the great Ramana Maharshi. I can’t believe I had not come across this book before now – it’s amongst the very finest examples of this genre. I highly recommend this book to any sincere spiritual seeker, regardless of religious background. 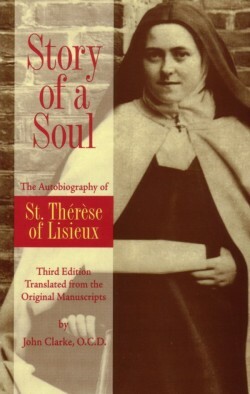 Saint Thérèse de Lisieux was clearly born an extraordinary person with a unique spiritual calling, and yet her story is written straight from the heart, with such humility and simplicity, it becomes relatable. Personally I find it comforting that even a saint can have earthly struggles: not only physical illnesses, but also feeling pain when others are unkind. Somehow this gives me hope – for myself and for the rest of humanity – that our own struggles are not in vain. This book probably needs no introduction, as it’s widely known and immensely popular. It’s the kind of story that stays with you. Touching to the heart, fascinating to the mind, nourishing for the soul, this is a must-read. This is a long book, and parts of it are a little prescriptive for an autobiography. 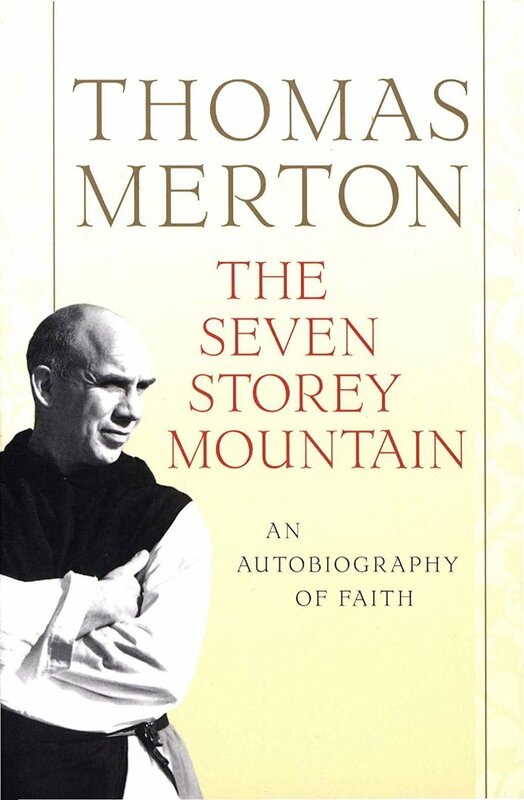 Even so, I did not skip or scan a single word – partly due to Merton’s captivating honesty, and partly due to his brilliant gift for recall and description. The story charts his life from childhood in France, education in England, traveling in Italy and working in New York during the 1930s, then to become a Trappist monk in Kentucky. His somewhat dour exterior gives way to sensitive and candid insights. His observation of people – including himself – is especially astute. A spiritual search can often be tortuous, so in a sense the long route adds authenticity. 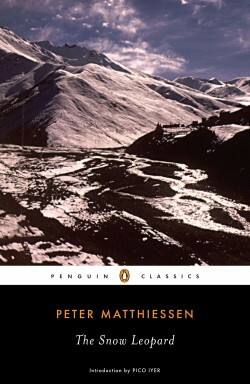 This is a true classic, and one I will revisit like an old friend – one who understands how it is to examine the outer world and to find it wanting in fulfilment. 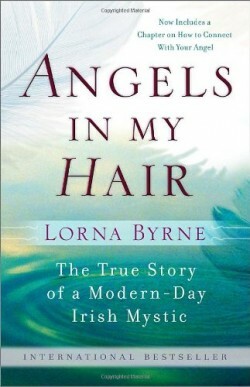 This is one of my favourite books full stop, let alone spiritual memoirs. Natalie Goldberg’s writing itself comes from the sort of genius that makes you sit up and pay attention, whatever she happens to be talking about, but the story is compelling too, making this a real treasure of spiritual literature. 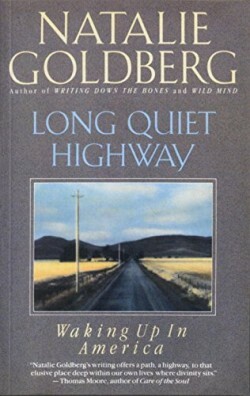 Goldberg takes the reader by the hand as she struggles to make sense of life, to work out who she is and where she belongs, ultimately discovering Zen meditation and her spiritual teacher Katagiri Roshi. This is a vibrant, intimate, and often funny book, thanks to the author’s honesty and her passion for living authentically. 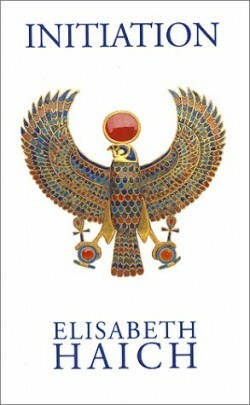 This is an unusual story, in that the author remembers experiences in past incarnations – most notably one in ancient Egypt – and links them to her present life. It’s fascinating just from a scientific and historical viewpoint as she recalls in great detail mysterious practices from thousands of years ago. From a spiritual viewpoint it is all the more captivating and inspiring, if a little terrifying in places. Not for the faint-hearted, it’s the kind of book that stays with you, for better or worse. From it I’ve found genuine encouragement to be ever more conscious in my own spiritual life. Following the death of her husband, Russian-born Irina Tweedie found her Sufi master during a trip to India at the age of 52. This book is the diary he told her keep, spanning five years of her spiritual journey. He insisted she wrote down everything, including her doubts and struggles. Chasm of Fire is a shorter version of her journal, but I like the transparency of this complete version. I was not very familiar with Sufism when I first read it, so I found her unfoldment of its customs fascinating and beautiful. Tweedie was the first Western woman to be trained in this tradition, and above all I admire her courage. Hers was a challenging journey to say the least, but she stuck with it through thick and thin, and her inner rewards are plain to see. I’m not really sure where to start with this one, and I only chose one because it seemed unfair to choose three from the same author. Grace (Eventually) and Plan B: Further Thoughts on Faith equally deserve a mention. Lamott’s writing is not only moving, funny, courageous and relatable, but is also aesthetically brilliant. She never shies from the struggles and imperfections of being human, and so her spiritual insights and breakthroughs are all the more precious. 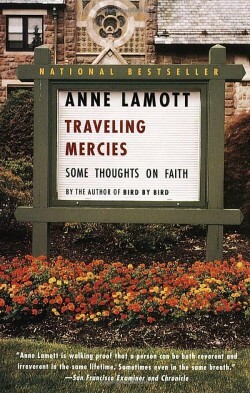 I love everything about these books, but Lamott’s Christian calling in Traveling Mercies is particularly moving. 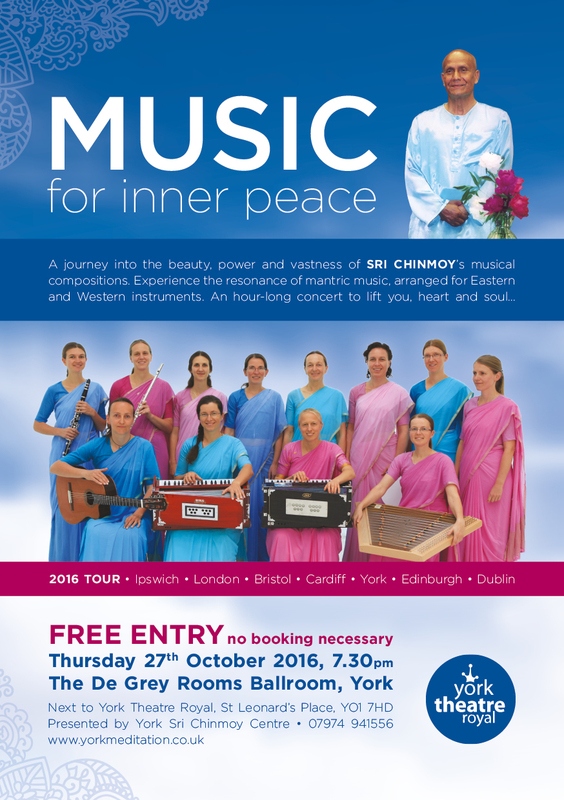 A very good introduction to Sri Chinmoy‘s life as a spiritual Master and life in the Sri Chinmoy Centre. It somehow encapsulates the vast diversity of Sri Chinmoy’s activities, as well as the diversity of his students. It also illustrates the sacred bond between Guru and disciple, particularly in a modern context. Here people from various countries and backgrounds talk about their experiences with Sri Chinmoy while he was on earth, as well as describing how their spiritual lives have continued to flourish since his passing in 2007. One gets a broad overview, but from the very personal viewpoints of many different writers. Highly recommended for anyone interested in Eastern spirituality as applied to Western and modern life. A colourful, interesting read, full of contrast and variety. 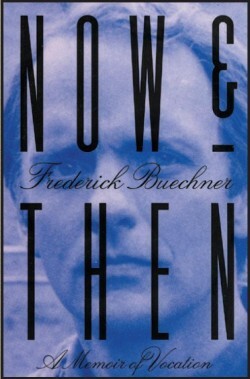 Now and Then is the second in a trilogy of short memoirs by Buechner, along with The Sacred Journey and Telling Secrets. This is my favourite of the three, though I enjoyed them all. 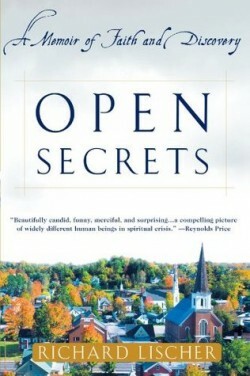 It covers the author’s rather shambling journey to seminary, and a gradual growing into life as a Christian minister. I love the stark realism in the stories, and his broad-minded approach to religion. His melancholy, self-deprecating honesty is utterly endearing, and the writing is sublime. His views on writing itself, and how it may dovetail with a spiritual life, are brave and consoling. While the sentences can be long, tiring journeys, the destination is always worth the effort. These are books I will treasure and re-visit. I haven’t binge-read in a long time, but this book leapfrogged all the others waiting patiently on my shelf. Western culture has assumed for too long that women committing their lives to spirituality do so either because society has failed them, or because they have failed in society. 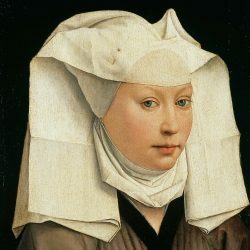 If ever you thought nuns lack moxie, individuality, intelligence or social conscience, you’ll be glad to see such myths debunked. On the other hand, if (like me) you’re following a genuine spiritual path of your own, especially if (like me) you’re female, you’ll be very glad to see such myths debunked. You might even let out a Hurrah! of solidarity. 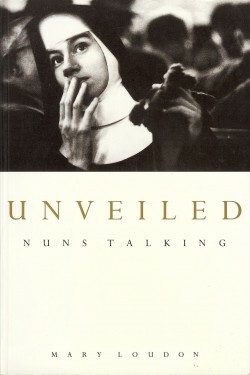 These ten stories are collected by a self-confessed sceptic, straight from the mouths of nuns – nuns from a variety of backgrounds, in a variety of orders, with strong views and unique characters. These are memoirs at their most raw – beautifully transparent and richly authentic. Another book that probably needs no introduction. Byrne’s simplicity and humility, her struggles and victories, I find most inspiring. Reading her I feel like I’m sitting down by a cosy fireside with a cup of tea. It’s as though she’s right there talking, and I’m on the edge of my seat, saying, “Tell me more!”. Gritty and honest (gruesome in places) this book feels like a friend, and I missed it when it was finished. I became very fond of the characters, the descriptions of inner and outer experiences, the insights into Ch’an Buddhism, and the poetry. It inspires and instructs, powerfully but with a light touch, like a poem in itself. 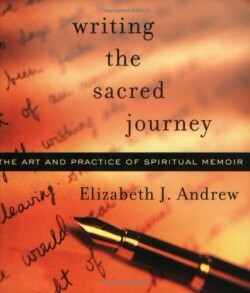 Highly recommended to anyone interested in spiritual memoir and/or travel writing. 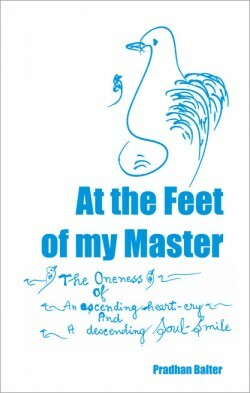 A rare and special book, written by a close disciple of Sri Chinmoy. 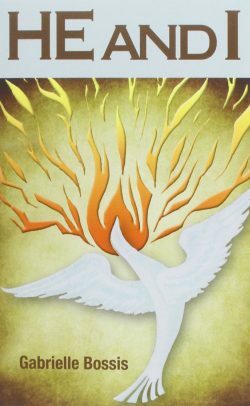 This is a short read, but rich in content, never shying away from the hot-potato topics faced by every spiritual seeker – jealousy, insecurity, doubt, pride, et al. While at times painful, at times funny, it is consistently inspiring and illumining. 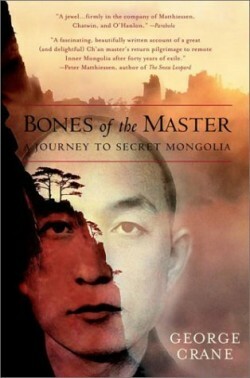 An honest and intimate view of the relationship between a contemporary spiritual Master and his disciple. 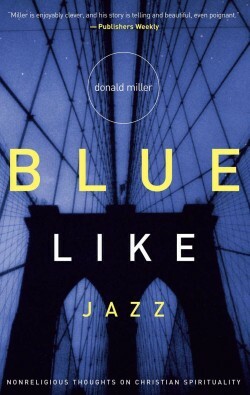 I wasn’t sure where this book was going at first, but was soon drawn in to Miller’s sincerity. 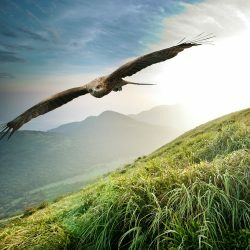 His story is meaningful because he has not taken life or spirituality at face value – he’s not afraid to take things apart and experience them for himself. Somehow faith that survives that examination has a deep strength, and I find that admirable. His writing is candid and unpretentious. Sometimes I found him a little too flippant – he gave Buddhism quite a hard time here and there for example. I’m not a Buddhist, but it made me uncomfortable at first. Then I realised that’s just how he is – he gives himself the hardest time of all. It didn’t affect my enjoyment of the book overall, it’s a very inspiring and refreshing read. 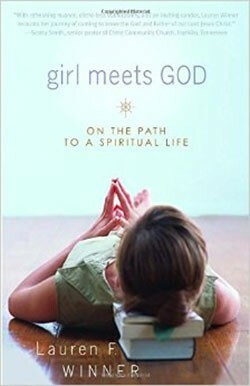 I would recommend it to anyone from any faith with a broad-minded approach to spirituality, who is interested in deepening their own experience. Read the book rather than watching the film – it didn’t work at all for me on screen. I found the candid descriptions of Winner’s journey refreshing and uplifting. She’s obviously very sincere in her spiritual quest, but she’s also very honest about her own capacities. It’s an easy read in terms of story-telling, but she shares a lot of academic and technical knowledge on Christianity and Judaism. Not knowing in detail what it’s like to be inside either religion, I found that illumining and interesting, especially when it’s put in the context of the author’s personal experience. The story doesn’t seem to have much of a structure – it’s more a collection of snapshots which make up a fuller picture – but personally I didn’t mind at all. Life is like that, so it’s somehow all the more relatable that way. This is the story of a Lutheran pastor taking his first post in a rural American town, fresh out of seminary, believing himself amply equipped for the task, if not somewhat above it. As the community inadvertently gives him one character-building challenge after another, Lischer realises the true complexity of his role, and observes his own transformation with candour and humility. I often found myself somewhere between tears and laughter, frequently thinking, “Poor fellow! whatever next?,” as I witnessed him reconciling his training, his conscience, and his earnest faith. That which seems outwardly banal is turned into a study of human strength and goodness, as heart-warming as it is eye-opening. 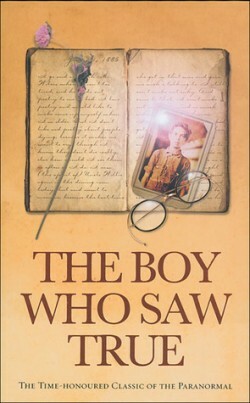 Most of the story comprises the diary of a young boy, living in the north of England at the end of the 19th Century. The author at first has no idea that his special gifts of clairvoyance and clairaudience are in the least unusual. He is innocent to the fact that not everyone may converse with the deceased, watch gnomes or fairies at play in the garden, or discern a person’s health and temperament by the state of his aura. Indeed such things are recorded in the same breath as everyday household news. Later, since so many topics are taboo at the time, he assumes it is simply not polite to mention them. Fortunately, with the help of teachers both worldly and ethereal, he learns to protect and nurture his talents. I found his relationships with these teachers most beautiful and moving, especially with one he sees only in visions, and first assumes must be Jesus. Following are some good books that have a spiritual-memoir aspect. This is a very unusual book, translated from the French original Lui et Moi. Gabrielle Bossis was a single woman – a nurse and later a playwright. Here was a friendly and vivacious person – very much in the world of work and creativity, rather than living in seclusion as a nun. Yet her inner relationship with Christ is intensely strong. The story is not strictly a memoir, but she relates the teachings to her own experiences, so it is certainly a journey of discovery. I find this book deeply moving and encouraging. It brings the Ineffable into everyday life, and reminds us that is where He most wants to be. This is part biography and part memoir. 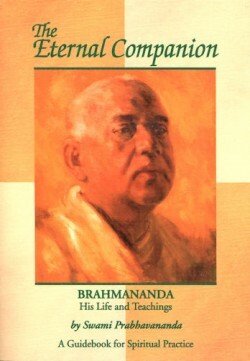 Swami Prabhavananda’s reminiscences of Swami Brahmananda’s life and teachings are compelling and beautiful in themselves. Then there is a section towards the end where different people speak about what they remember of the Master, this dear disciple of Sri Ramakrishna. It is of course inspiring to hear of the greatness of spiritual masters – their power and luminosity – but the goodness in the smallest details of life is easily overlooked. Often such actions are just as instructive; sometimes more so, because they are more relatable. Technically this is a travel memoir, but it has a deep spiritual foundation. Worth five stars just for the aesthetic quality of the writing, let alone the masterful weaving together of inner and outer experiences. Ruggedly beautiful. A book about spiritual apathy and hopelessness does not sound very inspiring at first, but the author’s battle against it certainly is. Acedia & Me is partly a text-book on the subject. It’s scholarly and rigorously researched, citing writings over the centuries that show acedia to be an age-old challenge. 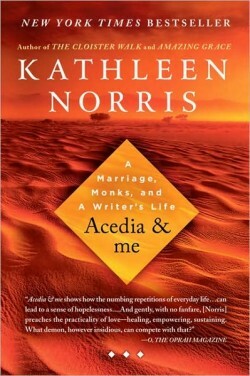 More than that, Norris posits acedia in the modern age, offering her own experience for detecting and conquering what monastics have long considered a demon. Thus her memoirs are woven throughout, as she faces down acedia in relationships, work and the repetitions of daily life. Though peppered with humour, it is a serious book. The subject itself is not light reading, and Norris faced many difficulties in her personal life, but it’s refreshing to see someone tackle such a difficult subject. Norris affirms that spiritual progress is not always a bowl of cherries, but that’s okay. Ultimately what matters is that it’s worth the effort. 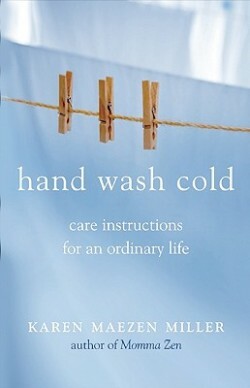 Uplifting, honest and masterfully written. I devoured this as a story in one sitting, but it could just as well be used for reference. It’s a little didactic for my taste, but the title admits it will be, so that’s not a complaint. While instruction is the premise of the book, Maezen – a wife, mother and Zen Buddhist priest – also describes her own continuing transformation with sincerity and beautiful prose. The main themes are self-acceptance and the sanctity of everyday life – the idea that paying attention to the ‘ordinary’, and taking it as spiritual practice, can lead to an extraordinary experience. I am always glad to be reminded of this alchemy, and it’s always worth celebrating. Thinking of writing your own story, but not sure where to start? This is surely a treasure trove for any budding, struggling, or thriving memoirist. It’s meticulously researched – both inwardly and outwardly – showing a rich depth of understanding. There is also a refreshingly broad use of the term “spiritual”, beyond the more obvious religious experience, to include any inner quest for meaning through outer life: whether via nature, or the death of a loved one, or even via writing itself. I only wish I’d found this book before I started writing Auspicious Good Fortune! We were very fortunate to welcome Agnikana’s Group to York on October 27th, for a concert entitled ‘Music for Inner Peace’, at the De Grey Rooms. The music group is based in the Czech Republic, with members also from Slovakia, Switzerland, Austria and Canada. They perform solely the music of Sri Chinmoy, and have toured many countries across the world. The concert was part of their autumn tour of the UK and Ireland. foreign and exotic to my ear. free of any human sign. that often brought me peace.